Shandong Leader Machinery Co.,ltd. integrates R&D, design, manufacture, sales and import & export of machinery into one. 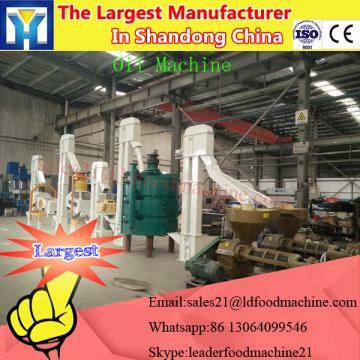 We always supply food machinery oil pressing Machine and auxiliary machine For Oil Press and security equipment Hot selling Filter Centrifuge with low price with high quality & high performance, also with competitive price. Our company is located in the ShanDong Province, which is the center of business and economy city. In the concept of "Tolerance & Reputation, People-oriented & Innovation-driven, Technology & Service", we communicate, research and cooperate with universities, research institutes, engineering companies in various industries and system integrators in food machine industry and security industry. With many cooperative factories, we can provide a wide range of products in order to cater for your special orders. PS Series Flat Direct filtration centrifuge's bowl is based parts,direct-coupled motor drives the bowl rotate at high speed to form a centrifugal force field. Suspension liquid flow into the bowl from the top of the feeding tube, under the action of centrifugal force, threw to the drum wall, then into the inter-layer between shell and bowl through the filter holes in the bowl.Next,threw into the liquid collection chamber at the bottom of machine,discharged by the drain pipe, and solid phase retained in the bowl.For washing, the washing water through the washing tube to wash, solid-phase is discharged from the top by hand. Reasonable structure design, simple geometric shapes which can eliminate the health corners effectively, structural parts smooth transition, the surface polished, external components, fasteners and the parts contacting material are made of stainless steel, the shell is clamshell type, which can thoroughly clean the inter-layer between shell and bowl. Base is the flat structure, reducing the machine center of gravity, small size, the shell and base is overall welded form,bearing's strength is high. Configuration of liquid rubber damper to reduce vibration,which can realize installation without basing. Shell is clamshell model with a large or small,cover with feed tube, washing pipe, light mirror,observation port, and spray systems, it is also equipped with nitrogen protective devices to isolate the machine chamber and outside air. Direct type-specific motor, belt drive eliminates the potential dust, inverter start smoothly, dynamic braking, the whole machine is good sealing performance, anti-explosion, can be applied to toxic and flammable, explosive situation. 1.Chemical Industry: gypsum, thiamin, Glauber's salt, ferric sulfate,boric acid, borax, rubber additive, dye, and other chemical products. 5. Environmental Protection: with acid discharge, pure water sludge and sewage sludge, etc. Shandong Leader Machinery Co.,ltd. is a professional supplier of the different kind of machinery oil pressing Machine and auxiliary machine For Oil Press. Our products Hot selling Filter Centrifuge with low price has been exported to all over the world, Especially to Europe, North and South America, Africa, East and South Asia, Australia, New Zealand, etc.Through our joint efforts, oil pressing Machine and auxiliary machine For Oil Press have gained good reputation from our clients in communication, products quality, delivery, after-service, and other aspects.Shandong Leader Machinery Co.,ltd. are looking forward to establishing a long-term and mutual-benefit business relationship with all of you. We will assure you our competitive price with better quality and service. 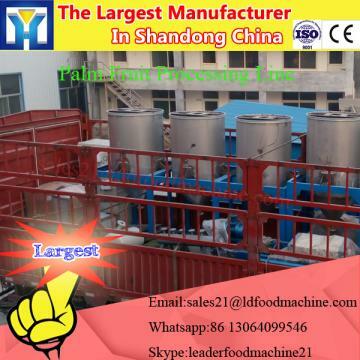 We believe you will get what you expect from our company by oil pressing Machine and auxiliary machine For Oil Press.We accept different method for payment of Hot selling Filter Centrifuge with low price, just like TT, LC, Escrow. You just need to choose one which is conveninet and safe for you.